How to find my Account SID & Auth Token? 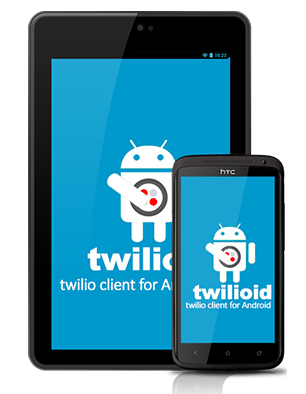 With Twiliod you can now bring the power to Twilio to Android. and easy to use conference calls. Create your own Twiml and scripts for the ultimate customization. Live in Australia and want to have a local number in Brazil? Live in Spain and want a local number for USA? or enable phone capabilities to your tablet that does not have SIM? Twiliod is your answer to these and much more. - Easily sync the app with your Twilio account. - One incoming number to ring all connected phones. - Twilio to Twilio call when you connect multiple Twiliods with the same code. - Find who is online before attempting a Twilio to Twilio call. - Easy to initiate conference calling. - Custom button to initiate your own Twiml or Twilio scripts. - Integrated with your Contact. Call you contacts directly from Twilioid. - Purchase temporary numbers directly using your Twilio account. - Full call log available at your Twilio account.